Noun. Also bibliophil. Early 19th century. A lover of books; a book-collector. 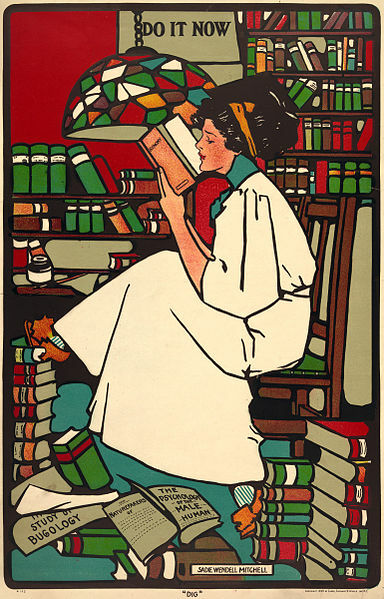 For all the book-stealing and book-binding and book-everything-else that the biblio- words represent, it basically comes down to one thing: a simple love of books. Being a bibliophile means different things to different people. For some, being surrounded by the physical books themselves is as much a part of the love as the words and stories they contain. For others, it's the pure content - the narrative, the words, the structure - that so excites and enthralls them. I'm somewhere in between. I love the physical book - the feel of the paper between my fingers, the weight of it in my hands, and the comforting smell of the printed page. At the same time, however, I'm desperately in love with what's on those pages, which is why I find the age of the e-book so exciting. Somehow, when I download a new book onto my Kindle, I feel like I'm accessing the art in its purest form - the pristine, unembellished words of the author, transmitted directly from their mind to mine, exactly as they were when they first set pen to paper or fingers to keyboard. Regardless of how each of us defines our own bibliophilia, we're all bibliophiles together, and it's a noble thing to be. If you're a bibliophile or have any thoughts on the love of books or what it means to you, please share your words with us in the comment box below. The idea that ebooks are a purer form of the writer's inspiration is interesting. I do see what you mean, Ed, but the thing that bothers me most about ebooks is how easy they are to modify. We can never be sure what a totalitarian regime - or even a bored Kindle employee - might do to a text.